Brides & grooms, boyz & gals, in the following I am going to tell you how to have a Buddhist wedding in Bali. And everything you need to know about how to do so. How to get married in Bali if I am not religious ? 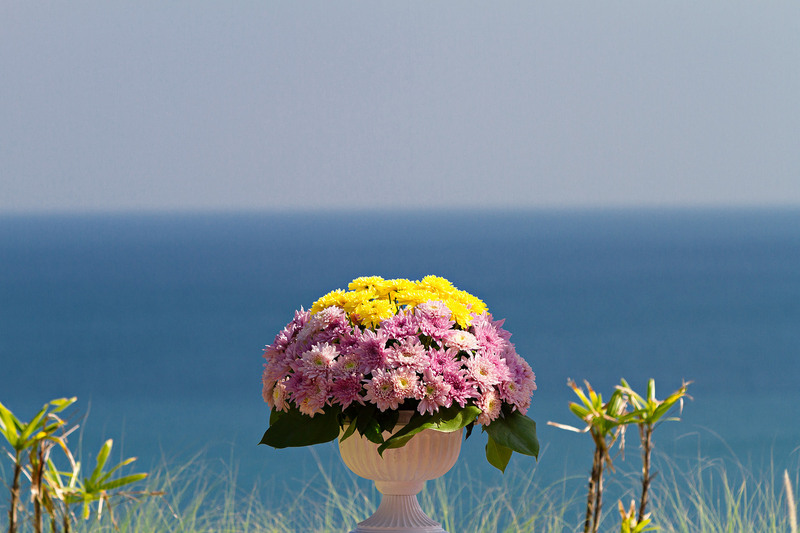 What are the most beautiful wedding ceremonies in Bali ? 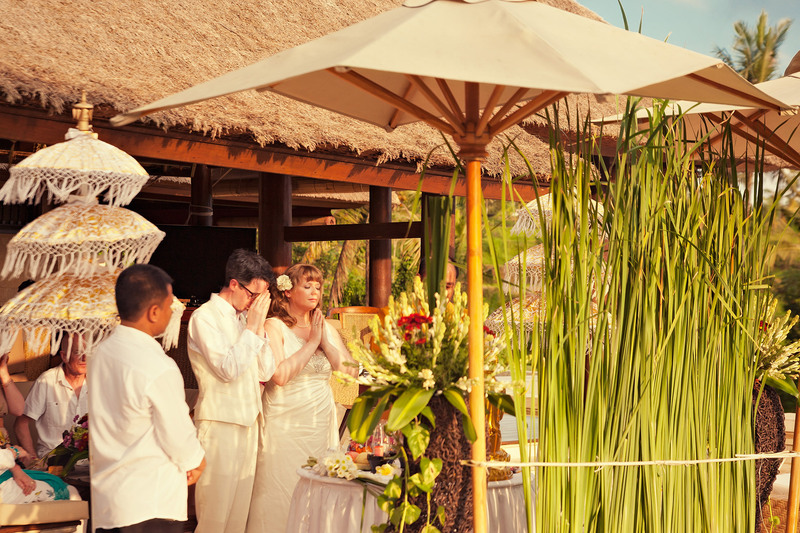 What is the easiest way to get religiously married in Bali ? Is it possible to get married as Buddhists in Bali ? 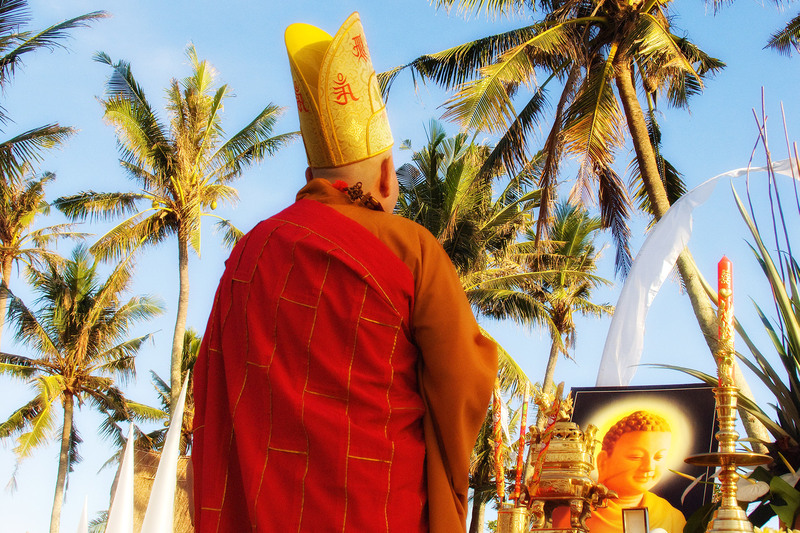 I am a Buddhist – can I get legally married in Bali ? 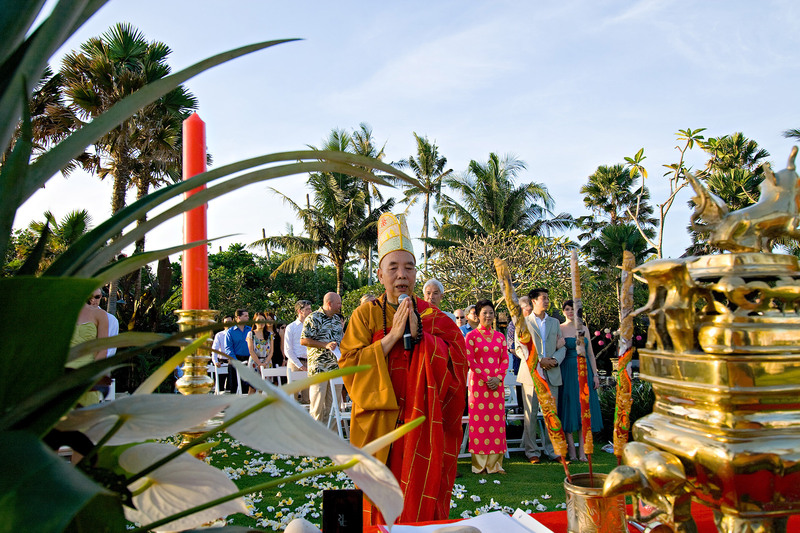 A Buddhist priest performing wedding rites at a destination wedding in Bali. We are not religious – can we still get legally married in Bali? This question is often asked by couples who do not practice religion. Couples who would consider themselves as not religious or atheist. The answer is both a Yes and a No. Let’s get to the No first. The Indonesian marriage law stipulates that you need to have a religious ceremony and a ceremony carried out by the civil registry. One cannot be without the other. But does that mean you cannot get legally married in Bali if you are not following any particular religion? In theory, this is what it means. But only in theory my Dears. 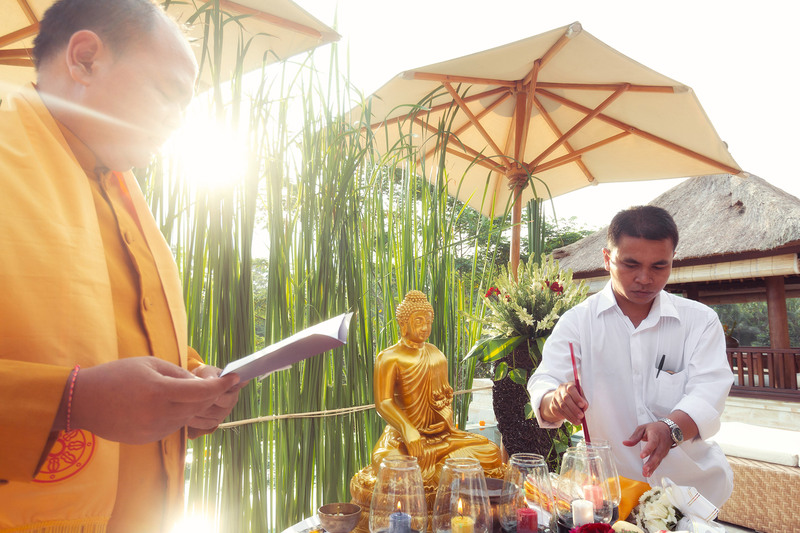 In practice, you have the option to declare Buddhism as your faith and have your religious wedding rites in Bali performed by a Buddhist priest. Unless you are ‘religiously atheist’ getting married as Buddhists is relatively easy. Another way would be to declare yourself as being Protestant. But for many atheist couples, a Protestant wedding ceremony feels to ‘religious’. Here a Buddhist wedding could be the perfect alternative. Do you need to convert to Buddhism ? Yes, you do. However, doing so is no grand affair. All you need to do is to say that you are a follower of Buddhist beliefs. And that declaration is only towards the Buddhist priest who will officiate your ceremony in Bali. Remember when you were a child and mom asked you if you secretly had your hands in the cookie jar and you denied… It’s a bit like that. And trust me. They won’t tell anyone… Got my point here ? Also: No, you will not need to take classes in Buddhism. Nor will you need to read thousands of pages of the teachings of Lord Buddha. But of course, if you wish to delve deeper into Buddhism you will find places and sources in Bali to do so. 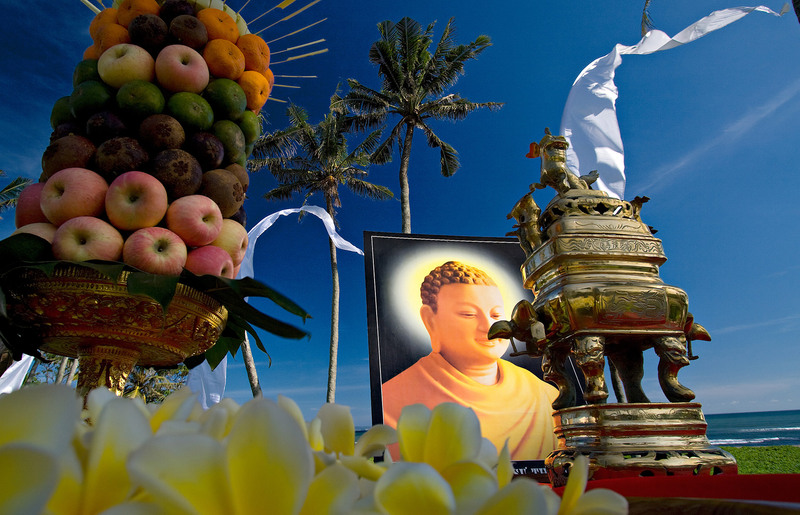 You will receive detailed instructions on what to do and what to say as part of the Buddhist wedding rites. You can even have a rehearsal for your wedding ceremony. Although such a rehearsal may entail some additional cost. How about a Hindu wedding ? Isn’t Bali an island with the majority of the people living there practicing Hindu religion ? Wouldn’t it therefore be the easiest to get married in Bali under Hindu faith ? 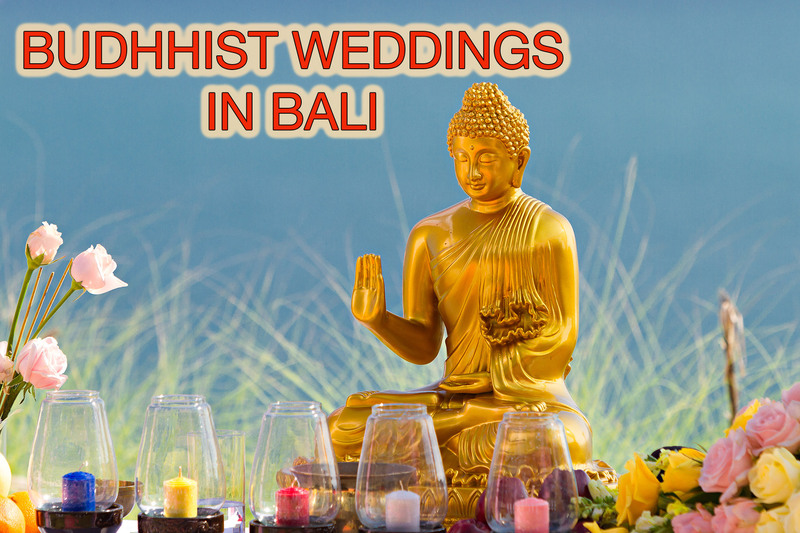 So why are we talking about Buddhist weddings in Bali ? I tell you why my Dears ? Unless you were born Hindu or you have been practicing Hinduism already you better forget getting married under Hindu faith in Bali. Because to get married under Hindu faith you will need to prove that you are a Hindu. How to prove that exactly I would not know. What I do know though is that many couples have asked to get married as Hindus and have been denied to do so. Surprising considering the friendly and helpful nature of the Balinese people ? Not really when you understand the great importance of religion and devotion among the people of Bali. Using their religion only as a means to get the job of getting married done is an absolute taboo. After all, Buddhism originates from Asia. And among all religious ceremonies, I have witnessed in Bali Buddhist ones are usually the most beautiful ones. 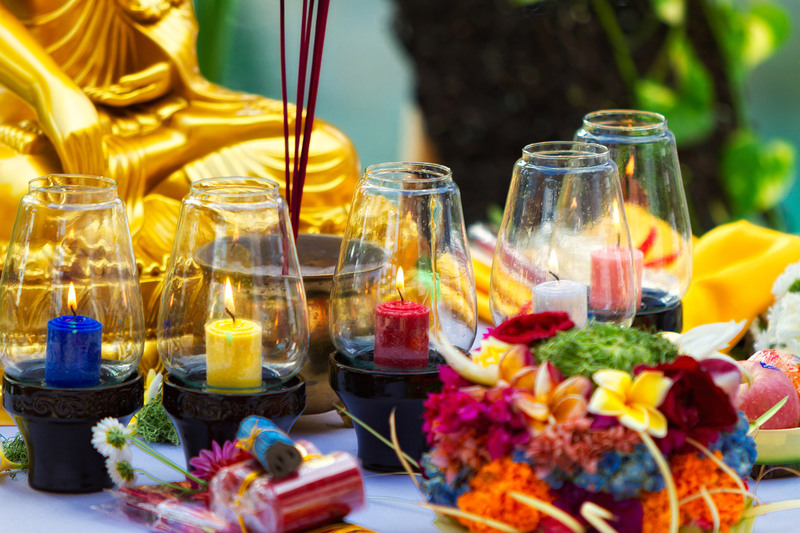 All the religious effigies and paraphernalia that are part of any Bali wedding under Buddhist faith exude a very Asian flair. A flair that very well suits Bali. Do we need to get married in a Buddhist temple ? No, you do not need to come to Buddhist temple to get married. The ceremony can be carried out at any venue. Such as a villa, at the beach, your hotel or any other place of your choosing. However, if you choose to have your wedding rites performed in a Buddhist temple in Bali that is possible. But if you wish to bring guests to your wedding ceremony in a temple you may not be able to do so. Hence most couples choose to have their Buddhist wedding rites performed in a villa, on a beach or in a hotel/resort. Can you have a Buddhist ceremony in one of Bali’s wedding chapels ? I have never seen that. But because all wedding chapels in Bali are commercial buildings and not attached to any religious community it is certainly possible to have a Buddhist wedding in a wedding chapel in Bali. 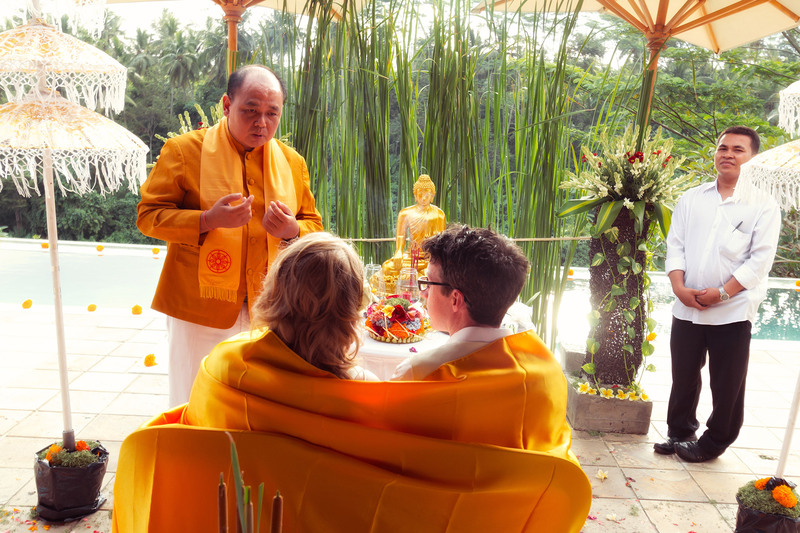 A Buddhist wedding ceremony in Bali without getting legally married – is that possible ? Yes, of course, this is possible. 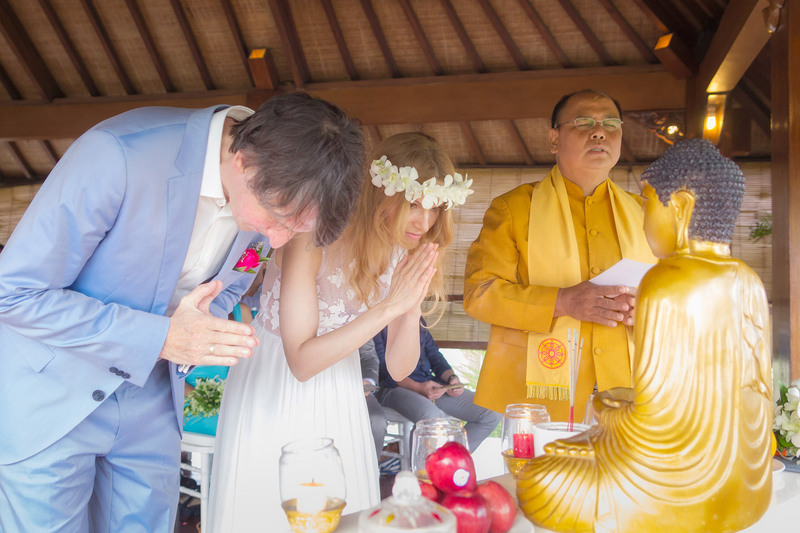 If you already have done your paperwork back home or plan on doings so after Bali you can have a Buddhist wedding ceremony. 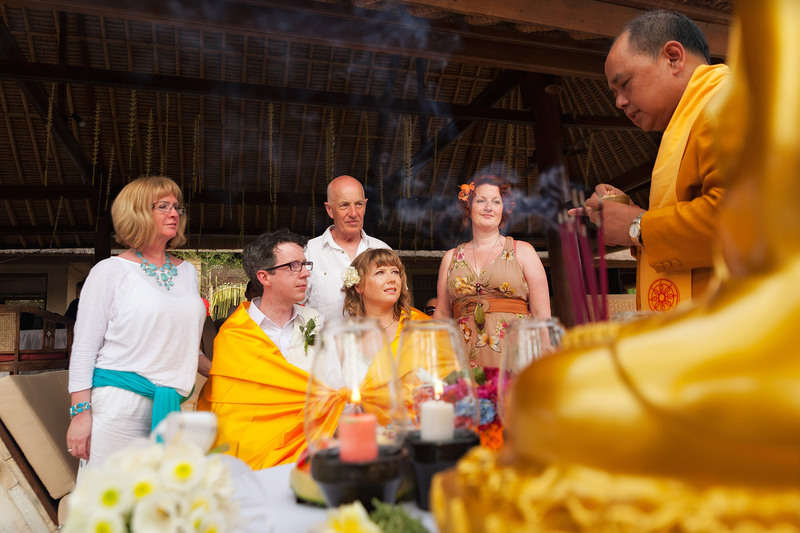 You can also have a Buddhist ceremony to renew your vows. Or in other words: a Buddhist wedding in Bali can be part of a legal wedding or be just a commitment or blessing ceremony without any legal implications. The Buddhist community is very welcoming and accommodating ! The documents required to get married under Buddhist faith are the same as for any other religion. No special or additional documents are required. All the rules and paperwork is the same as if you would get married under any other religious faith. For details about how to get legally married in Bali and what documents are required please read this. If you have any questions please contact me or leave a comment below.